Release Date:09/01/2017;Notes:Limited 180gm vinyl LP pressing. 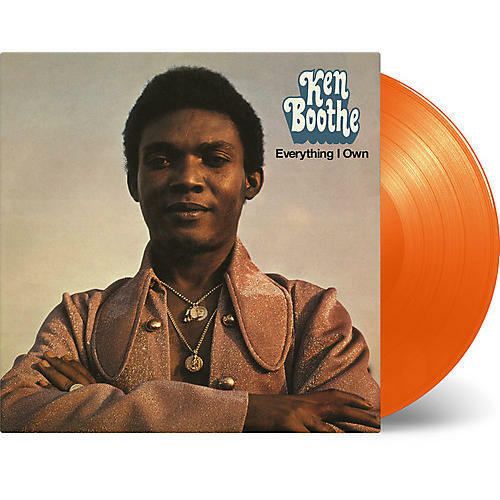 Arguably the finest Jamaican soul singer of his generation, Ken Boothe burst onto the international stage when his sublime rendering of Bread's melancholic 'Everything I Own' topped the UK charts in the autumn of 1974. Within months of this success, the native-born Kingstonian returned to the national listings with the captivating 'Crying Over You', which made #11 later that year. To coincide with the release of the latter, Trojan Records released the album, Everything I Own a supremely soulful collection that featured his two international hits alongside a number of sublimely produced songs, cut in both Jamaica and the UK. Unavailable on vinyl since 1974, this essential LP is now available on the format for which it was created, with the use of the original analogue masters and artwork ensuing complete authenticity. A must for all Ken Boothe fans and those who like their reggae sweet and soulful.